Cool! I wonder if we are still affiliated with the National Council (of) Women of U.S. According to the DNews, the RS is no longer affiliated with the Council. Must have happened sometime after Spafford was President (of both). And so we needed a clearly theme? Why? A quick note. The Philadelphia Stake held its annual women’s conference yesterday at the new stake center with its lovely views across the street to the temple. It was a colorful gathering, well attended by women from all over the region: city wards, inner city, and suburbs. 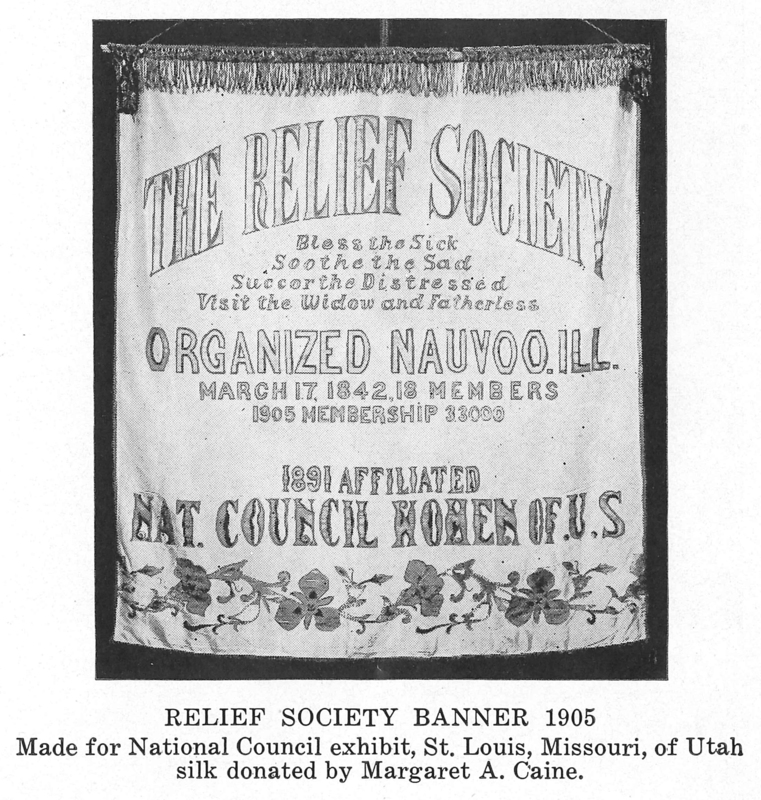 The Stake Relief Society President mentioned the 175th anniversary of the Relief Society, but the conference mostly concentrated on current needs and experiences. A sister who helped chair the ushering committee for the temple open house shared some of the many miracles experienced during that time. Women in that session shared experiences, including an elderly sister from Pakistan who told of how she had been blessed and healed after an accident. Sisters had opportunity to sew menstrual kits for Days for Girls International. Other sessions in English and Spanish focused on scripture and temple preparation and gospel topics. Many of us work together in stake callings or at girl’s camp, so in a stake as geographically large as this, it’s an opportunity to see friends who may live an hour or more away. It was a touching experience to see the Relief Society in action 175 years after its founding, and see the adaptability and strength of its women. Thank you J! And thank you Amy for your report!